The third book in Elizabeth Eulberg's hilarious, modern take on the Sherlock Holmes mysteries sees detective Shelby and her loyal sidekick John Watson go undercover in their most exciting adventure yet SHELBY IS ON SERIOUSLY THIN ICE Someone is threatening New York's number one f... read full description below. 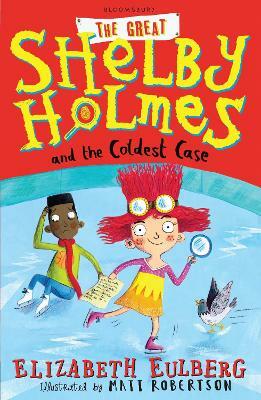 The third book in Elizabeth Eulberg's hilarious, modern take on the Sherlock Holmes mysteries sees detective Shelby and her loyal sidekick John Watson go undercover in their most exciting adventure yet SHELBY IS ON SERIOUSLY THIN ICE Someone is threatening New York's number one figure skating champion and there's only one way to find out who: Shelby Holmes and John Watson are going undercover. Can the dynamic duo crack a devious code before the culprit realises that they aren't the pro skaters they claim to be?